The RMT230 room thermostat is suitable for the control of heating, ventilation and air conditioning in 230 volt systems and has a built in accelerator heater to improve control accuracy. A stylish electro-mechanical room thermostat for use on 240V systems, RMT-230. Large, easy to read scale. Locking and limiting as standard. Accelerator heater to improve control accuracy. Ideal replacement for Honeywell T6360B1028. 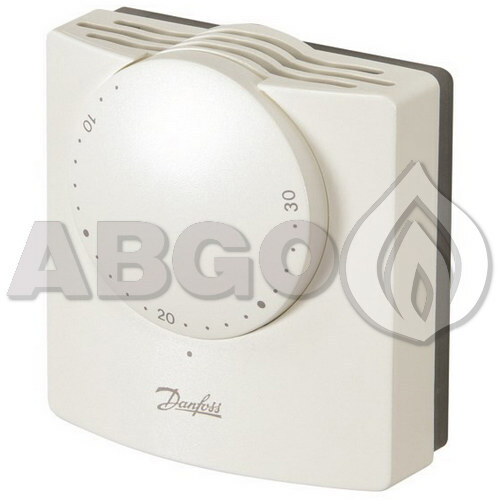 The 087n1100 model replaces the following Danfoss Randall models: TWE, TWK, RSR/M, RD3.